ScooterWest.com - GT-GTS-SUPER-FLY Performance FRONT Brake Pads. MP3 500 Rear. GT-GTS-SUPER-FLY Performance FRONT Brake Pads. MP3 500 Rear. 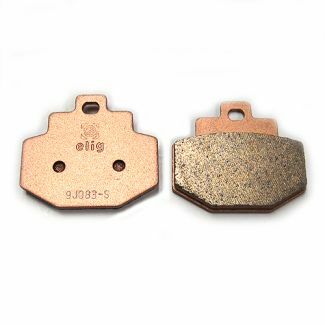 Elig SuperSport Performance front brake pads for your GT200-GTS250-GTS300-GT60-GTV250-GTS300-Super 300 (250),with Heng Tong calipers, which will fit most GT and GTS's. Also fits FLY50 and FLY 150. These are also the correct pads for the back of the MP3 500.